Let the children run free and explore things that interest them independently with supervision. That's the philosophy that a lot of these new outside preschools, or forest schools as they are now being called, uphold. But people in the community of North Park Village are getting annoyed by some of the things purportedly being done in these schools. One concerned citizen, Janita Tucker, who lives opposite Walking Stick Woods where these schools operate, read out a letter in a community meeting regarding the forest schools. Tucker began to read a letter from “Residents Living Adjacent to NPV,” listing complaints about the open fire, an accumulation of junk, and a lack of appropriate licenses. Forest schools were developed and became a trend in early childhood education because people thought that it would be better for children to have a more carefree development compared to the more restrictive environments that try to foster learning with rigid curricula. Inspired by traditional European outdoor preschools, these programs are, in large part, a backlash to helicopter parenting and overly structured, tech-oriented teaching environments. So far, all of the complaints against the forest schools have been answered and there will be no further meetings regarding them. Whether these programs will help children's development and learning, separate studies need to be made as to their effectiveness. 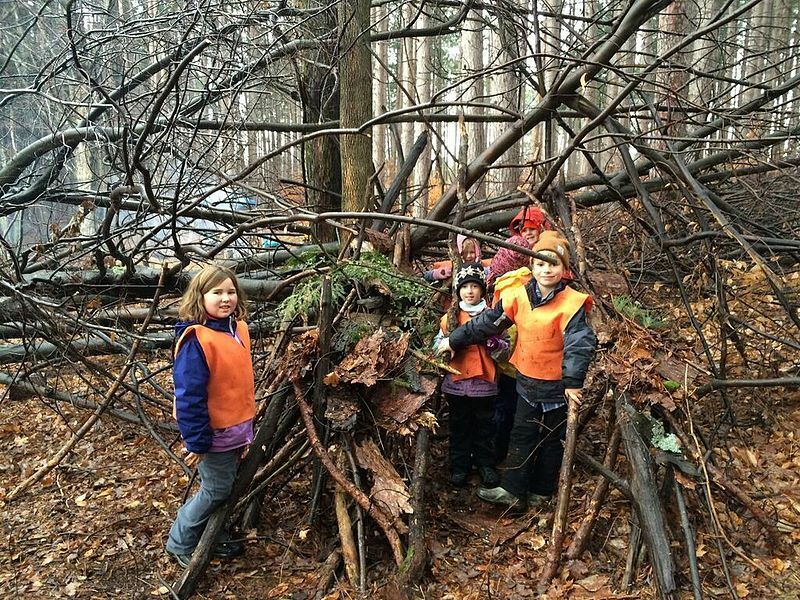 "Forest Schools in North Park Village Are Driving People Mad"